KAZAN (Russia): Hoping to attract Arab capital, Russia will take its first step into the world of Islamic finance in June by issuing sukuk, bonds which comply with the syariah. “Russia will show that it can be interesting for Muslim countries,” one of the project’s backers, Linar Yakupov said. The first sukuk to be issued in Tatarstan’s capital Kazan on June 20 will be going toward financing a major business centre in the city whose construction will cost US$200 million (RM600 million). “Sukuk are guaranteed by the Tatarstan government, the operator will be based in Luxembourg, and we know that the international market is ready to buy,” Yakupov said. Elnour Gurbanov, an analyst at Deloitte, said the initiative “can contribute to attracting Arab capital in Russia, but only in the long-term” since incorporating Islamic finance into Russia’s legislation will take time. Bringing Islamic banks to Russia is “possible and even necessary”, Tatarstan’s leader Rustam Minnikhanov told investors in Dubai in early May, according to the RIA Novosti agency. 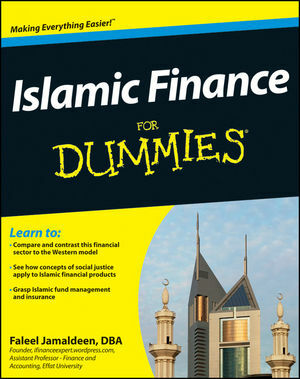 “There is no existing law nor a draft law regulating Islamic finance. Given the lack of eagerness from the federal authorities to study this issue, we should not expect it for another two or three years,” said Oleg Ivanov, vice-president of the Regional Banks Association of Russia. Ivanov’s association has tried without success to include Islamic finance into Russia’s strategy for developing its banking system to 2015, which was adopted by the government two months ago. “The government and the Central Bank did not support us,” Ivanov told AFP. In the course of the International Summit of Islamic Business and Finance, which was held in 25-26 of June,2009 in Kazan, LLC “IFC Linova” represented the model of russian islamic finance system consisting of financial institutions for big, mid-sized and small business. Among the base element of mentioned system focused on the extension of the deposit-credit services to the populace and the financing of the small business, the institution of credit cooperation in its different aspects such as credit, consumer’s, agricultural, housing saving, was defined by the participants of the Summit. The main idea of the credit cooperation is the pooling of populace’s cash assets with the purpose of their maximum effective management for the acquisition of gain and the satisfying the requirements in the obtaining of credit, services and in the receipt of goods. The history of credit cooperation’s development traces its roots in 1849 when Frederick Raiffeisen, the mayor of bavarian city, established the first credit cooperation. Nowadays Raiffeisen movement comprises 900.000 cooperations, about 500 million of shareholders operating almost in 100 countries of the world, the aggregate capital of which overbalances $4.3 billion. Nowadays the world movement of the credit cooperations looks like this: in France about 90% of populace use the services of the credit cooperation, in USA 30% of adult population are members of the credit cooperatives (9.935 cooperatives with $650 billion of assets), in Ireland 534 cooperatives join together 70% of commonwealth, in Poland the credit cooperation takes 4.5% of populace (96 cooperations and more than 1.400 of their branches with assets more than $80 million), in Lithuania 53 credit cooperations take 1.2% of commonwealth (with about EUR 53 million of assets). 13 thousand of cooperatives with about 8 million of shareholders were counted in 1914. Currently 750 credit consumer’s cooperatives, more than 450.000 of shareholders exist in Russia. On the whole the development of microfinance organizations is supported by the goverment of Russian Federation, international public organizations. So, in 19 of December, 2008 the Resolution № 63/229 about the role of the microlending and the microfinancing in the poverty eradication was adopted in the course of the 72th plenary sitting of the UN General assembly. According to it the UN member governments, Bretton Woods institutions (the World Bank and the International Monetary Fund) were suggested in coordinated terms to lend financial and technical support to the efforts of the underdeveloped countries for the capacity development of the microfinancing establishments. The Islamic economic model, as so as traditional, contains in its armoury the mechanisms of microfinancing: the credit cooperatives occur in abundance in such countries as Egypt, Morocco, Indonesia and Malaysia. It is due to the dispositive regulation of the activity of the credit cooperatives, which in distinction from the banking institutions, have a right to take a deposit and to accommodate with a loan without interest in the presence of appropriate regulation in rules. In Russian Federation the activity of the credit cooperation is regulated by the Civil Code, the federal laws of credit consumer’s cooperatives of the citizenry, agricultural consumer’s cooperatives, housing saving co-operatives, consumer’s cooperations. The law of the credit cooperation is also prepared for adopting . the attraction of money (the contributions, the foreign loans, the sponsorship etc) and its ensuing placement (the lending for members, the foreign investment). Whatever the credit cooperation is the entity of microfinancing activity, the internal procedure of its economic function must be strictly ordered as in the banking institution. Accordingly, the management of the credit cooperative in its function must be ruled not only by firsthand experience and by the regulations, but also by the domestic rules identifying shared, borrowed, investment, dividend, accounting and fiscal policy of the cooperative. The disregard of this demand inevitably leads to the bankruptcy of the cooperative and to the prosecution of its directors, as evidenced by the analysis of pyramid investment scheme’s activity, concerning only with the attraction of money with no intent to place it then for profit-making. According to prohibition prescribed by Shari’ah the contributor – shareholder and the cotributor – borrower are in practice the parties of the investment activity sharing both the profits and the material losses in collaboration with the cooperative, what for the avoidance of possible pretensions must be brought to their notice before their enlistment to the cooperative. Directly in the cooperative the principles of the islamic financing are realized in this way. Considering current restriction by types of cooperative activity, that is forbidden to loan to the nonmember of the cooperative, to have a share in the nominal capital of the business entity and the partnership association, to issue issuance securities and go long, to trade and to produce. The main instruments of the Islamic financing in the cooperative are such transactions as mudaraba, salam, bai dayn, wadiah,Ijarah,card al hasan, sukuk. Relying on the objectives of the cooperative activity the member’s subscription may set as the attraction of money to the business accounts in the cooperative (wadiah) and the ensuing trust management (mudaraba) by the cooperative. The foreign loans are also effected as mudaraba. The cash assets, placing virtually in management, are used by the cooperative for lending on the social terms of no interest to its members (card al hasan), the investment and the financing of contributor’s (legal persons) activity (murabaha, salam, Ijara). The participation of the cooperative in the economically attractive projects of the outside agencies may be implemented through the government, regional bonds (sukuk) floating for the specific projects of the issuer, for instance, the federal programmes, Olympiad, Universiade. Recognising the need for the Islamic principles’ abidance the Fund of zakat is initiated in the cooperative. Allowances for this Fund are derived by common approbation of cooperative’s members fixed by the special resolution of the general meeting and also being fixed in the regulations. The implementation of the concerned operations needs the detailed elaboration of all procedures and the use of banking technology, because the cooperative, with the exception of the accounting functions becomes for its members small retail one and at the same time it becomes some investment type of bank. Certainly, it’s very complicated for cooperative’s initiators and for small business’ representatives to formulate this documentation and to give a good discharge in view of restriction of finance,knowledge and experience. The recruitment of highly qualified bank personnel is also inaccessible, that increases the risk of the activity of concerned microfinancing establishment. The way out is the handover of a great number of outsourcing’s functions,to which the current legal system contributes serving the functions of the final control device, the credit organ, investment and regulatory authorities which are the nonmembers of the cooperative. In this case the most optimal scheme of the interplay is the commercial concession where franchisor is the association, the union or second-tier cooperative, which forms and conveys to its franchisee (the cooperative) the right to use the tradename, the documentation, the technology on a non-repayable basis, also trains specialists and renders managerial, auditing and other services. Consequently, the bimodal federal system of the credit cooperatives can be formed. There the cooperatives of first level function as operating office, and the second-tier cooperative discharge the main financial functions allowing appreciably cut administration costs. Back on track of russian Islamic financial system sounded by LLC “IFC Linova” on the International Summit of Islamic Business and Finance, notice that the Islamic credit cooperative can’t work itself. Sharia committee, which is capable to issue the appropriate decision, is necessary for the confirmation of its activity’s correspondence to the Islamic principles, the Sharia arbitration is necessary for settlement of disputes, the bank or non-bank credit organization – for the processing operations, special education establishment – for personnel training, mutual insurance company – for the risk reduction. In the course of the works of strategic vision’s group “Russia-Islamic World”, which was held in Kuwait in 21-24 of December, Unus Bek Evkurov, the president of Ingushetia, informed that the asset complex is planned to be built in Magas. The territory is given for project, the architectural design of which is framing. Special fund and guardian council were established for financing of islamic complex’s construction. “It’s very important project for us”, – Unus Bek Evkurov emphasized.Previously Evkurov mentioned that Ingushetia was ready to offer Saudi Arabia and Kuwait the capital spending project for investment. “Particularly, it would be good for Kuwait to invest in construction business. 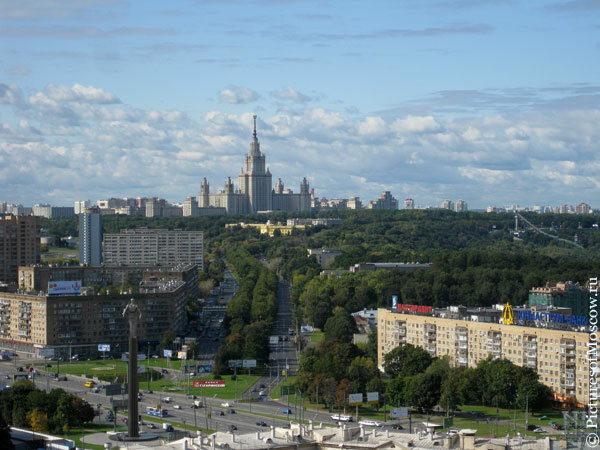 We build on our capital, I would give the whole complex, the whole mikrorayon in order to build high-rise apartment buildings for subsequent sale of residential space”, – Evkurov said. According to his words, in the process of agreement the additional insurance of the government may be given in order the residential space will be bought out if it couldn’t be sold. Ingushetia also wants to secure assistance from these countries in the form of participation in mosques’ construction. “The second moment is construction of mosques and assistance not only with money, but also with participation in projects, as “North Caucasus” quotes the president of the republic.